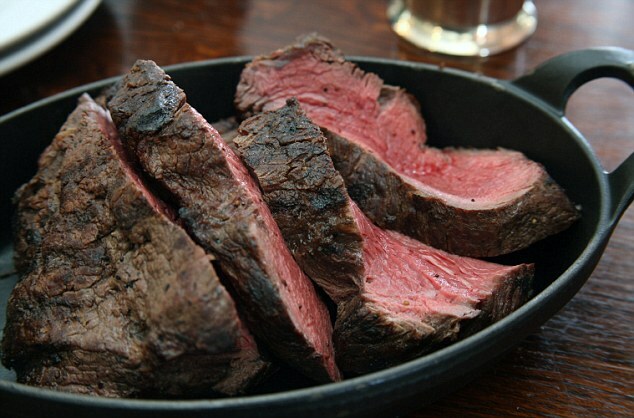 Iron-rich foods such as steak, spinach, liver and nuts could cut the risk of dementia in later life, say researchers. A study has found that people with anaemia – where levels of red blood cells are lower than normal – were more likely to develop conditions such as Alzheimer’s. The most common cause of anaemia, besides heavy blood loss, is iron deficiency, suggesting that a dietary change could help protect against dementia. Researchers made the connection between dementia and anaemia after studying more than 2,500 adults aged between 70 and 79.